The size of cardboard box is controlled by handle fixed position. It can be delivered automatically at moderate time. 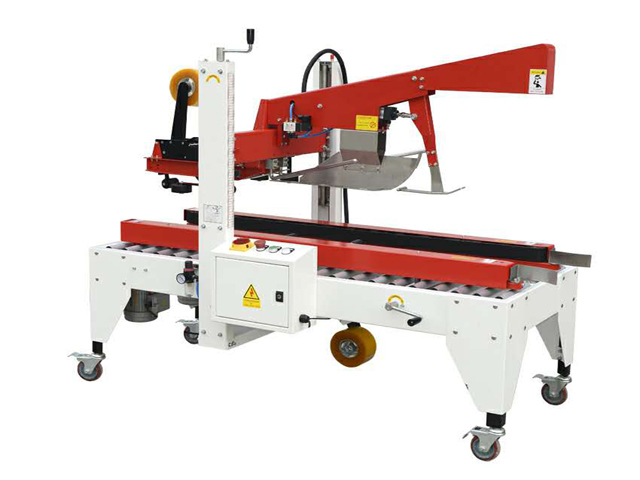 The hot melt case sealer is suitable for fully automatic assembly lines. 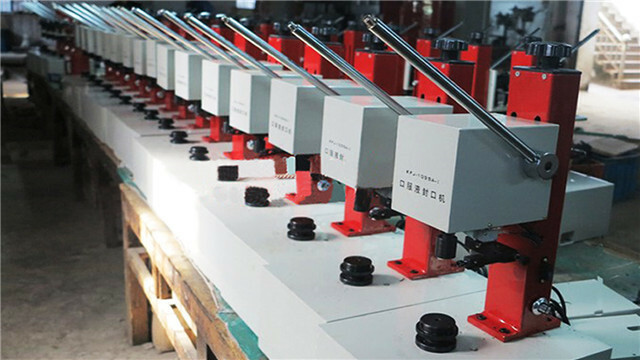 The case sealing machine adopts hot melt glue and it can also be sealed with leather paper adhesive tape and BOPP adhesive tape. 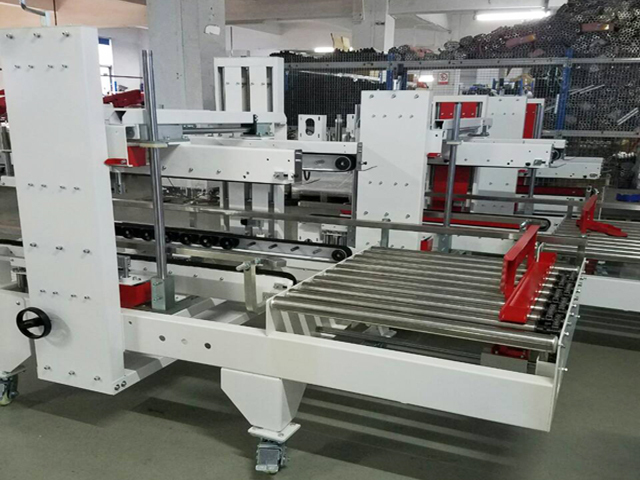 Automatic carton flaps folding and automatic carton corner side sealing machine working together, make a "H" shape sealing. 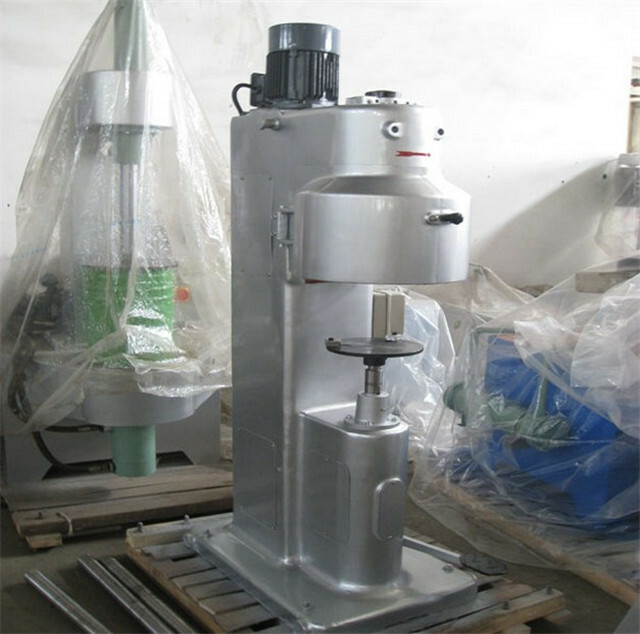 According to the size of the carton, manually adjust the machine width and height, suitable for sealing different cartons. 1. 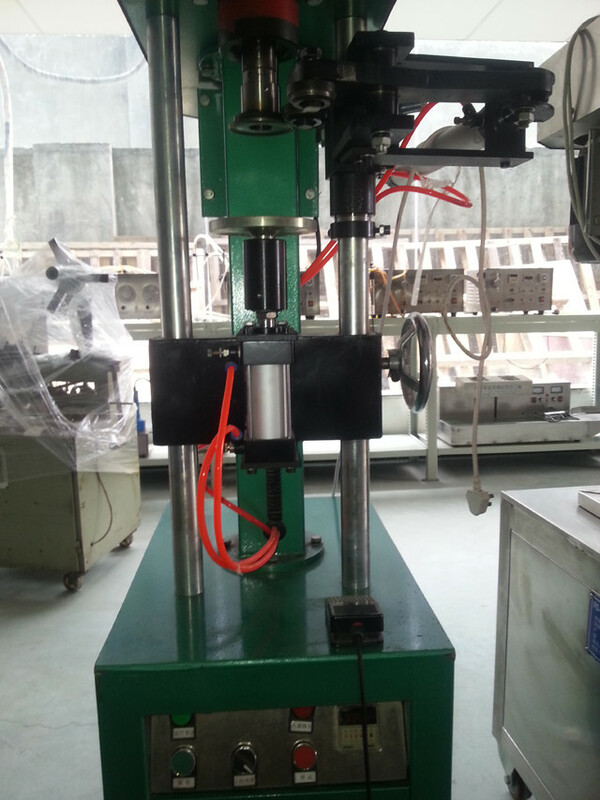 According carton size, manually adjusting the width and height of the machine, simple, convenient, fast. 2. 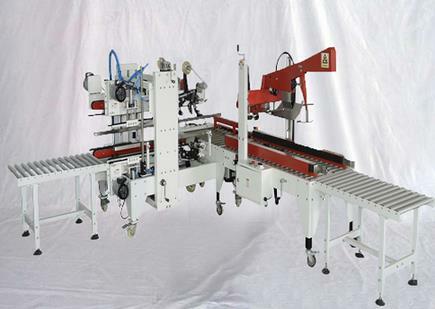 The machine adopts PLC control, simple operation, easy maintenance, stable performance. 3. 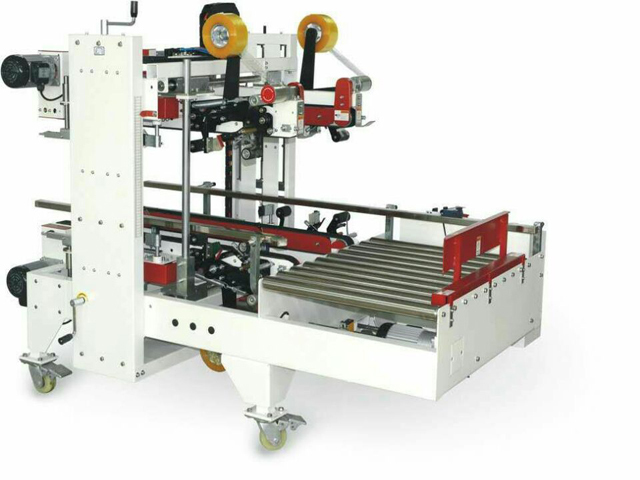 For a variety of automatic folding carton sealing cap H-type, the upper and lower corners of carton sealing edge and automatically, smooth, fast and smooth, but also with supporting the use of automated packaging line. 4. 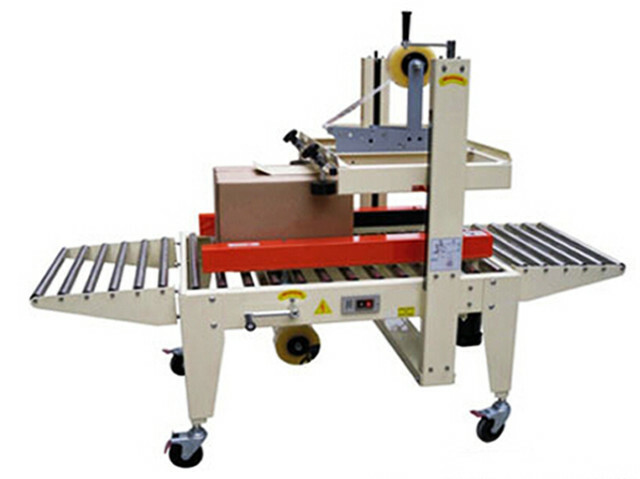 Fold the front cover by carton sealing machine sealing machine into the 90-degree angle, box board by pushing the Edge Sealer. 5. 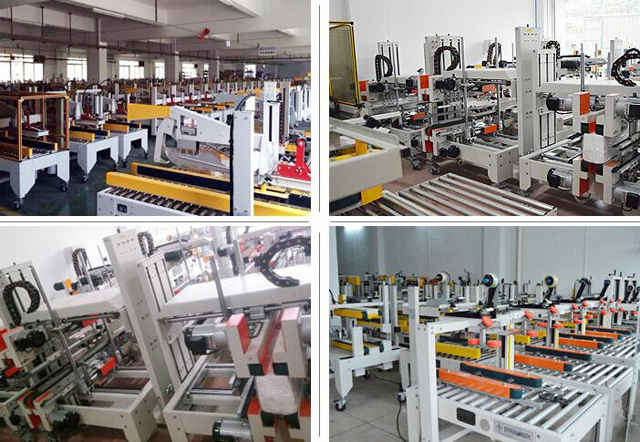 Sealing beautiful, fast, labor-saving, high efficiency. 6. Simple, economical and durable, safe, low failure rate. 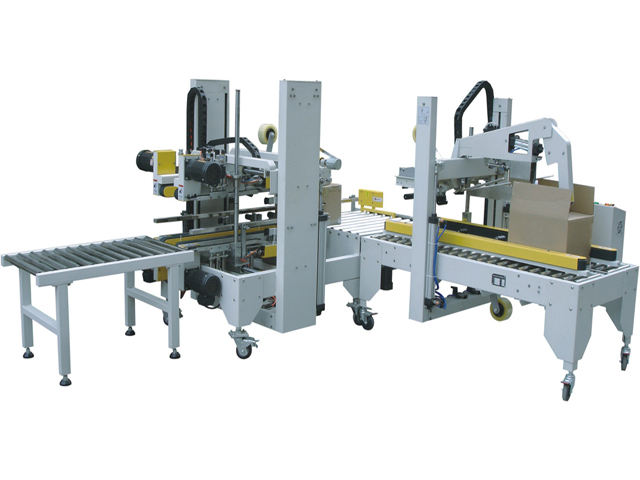 Manual Feeding Carton- -Automatic Flaps Folding-- Automatic Sealing Top and Bottom-- Automatic Pushing Carton Forward-- Automatic Sealing Carton Corner Side- Complete.